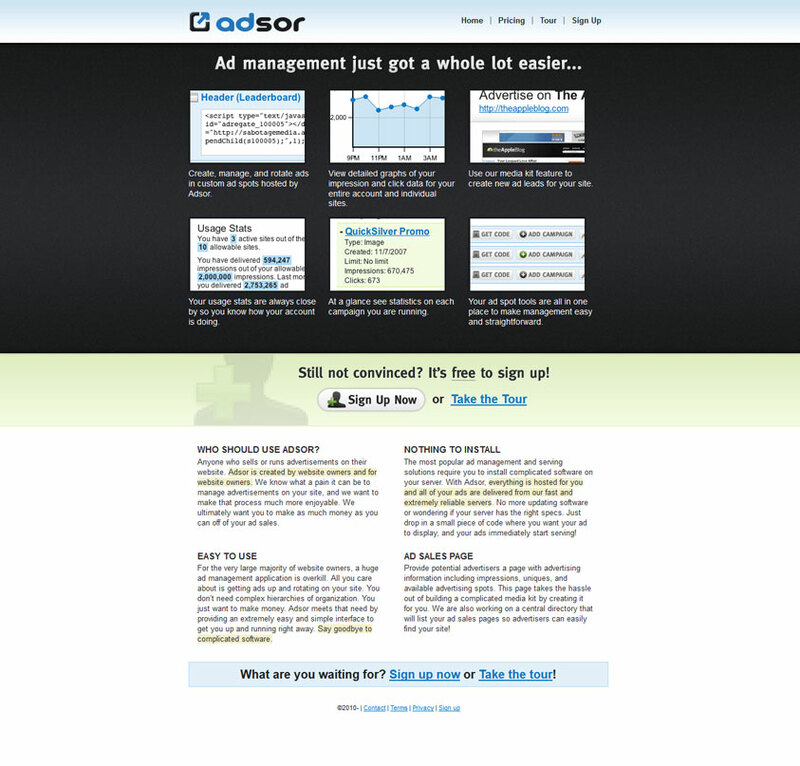 Adsor is an ad management solution for publishers. 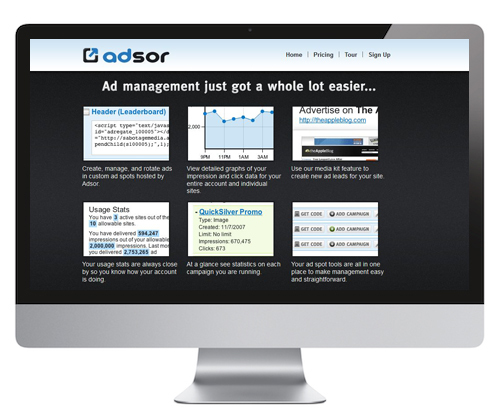 Adsor makes ad management a lot easier. Adsor is an easy to use ad management software which is a straightforward interface to get you up and running right away. This hosted solution makes it simple for publishers to manage their advertisers and ad inventory. Adsor is a hosted ad management web application created for website owners who do not want to use or install complicated software to run ads. Adsor provides an extremely simple and easy-to-use interface to get users up and running. All hosting is provided and all ads are delivered from fast and reliable servers. With Adsor, users can acquire data based on entire accounts and individual sites by creating and managing custom ads, examining usage statistics, and accessing detailed graphs of impressions. Site owners may also use the Adsor Media kit, which is provided to create new ad leads. This provides potential advertisers a page with advertising information including impressions, unique views, and available advertising spots.